Rosé + DJ + Dipped Strawberries + Dry Styling + Cool Swag Bag with Purchase! 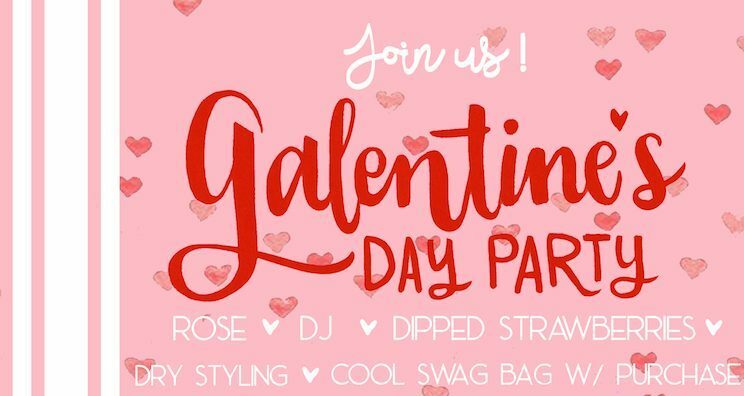 Sea Biscuit Del Mar is throwing a fun party to celebrate Galentine’s Day! Feel the love while you mingle and explore all of the new Spring merch in the store! There will be rosé, live music, dipped strawberries, dry styling and receive a cool swag bag with purchase! Plus, the store will be offering a 10-20% discount for your sweetheart!